"I “converted” and have only gotten results since. IT WORKS!" Weight: 207 lbs to 142 lbs. Body fat: 25% to about 10%. My strength improved for the first 6 months – especially my deadlift! It went from 275 lbs to 325 lbs even on a cut! However, after the first 6 months, my strength started to decline a bit, but that’s probably because I was able to lose 65 lbs and some of that was muscle. Still, my strength is much better than it was before I started BLS though. 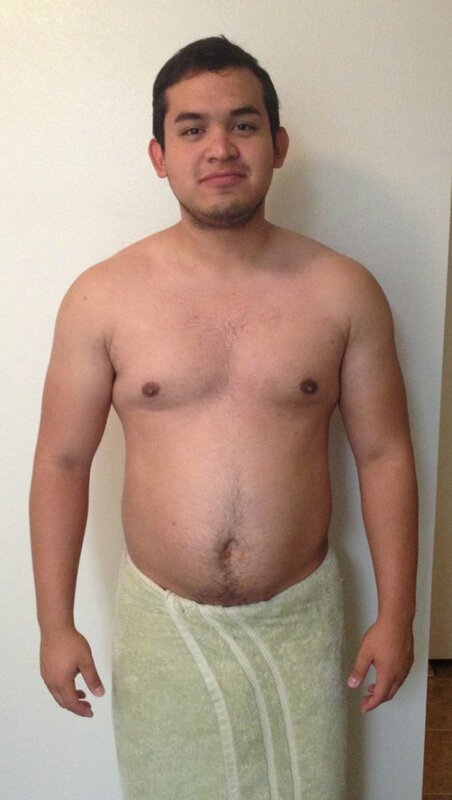 I had a lot of fat to lose, so that was my first step. 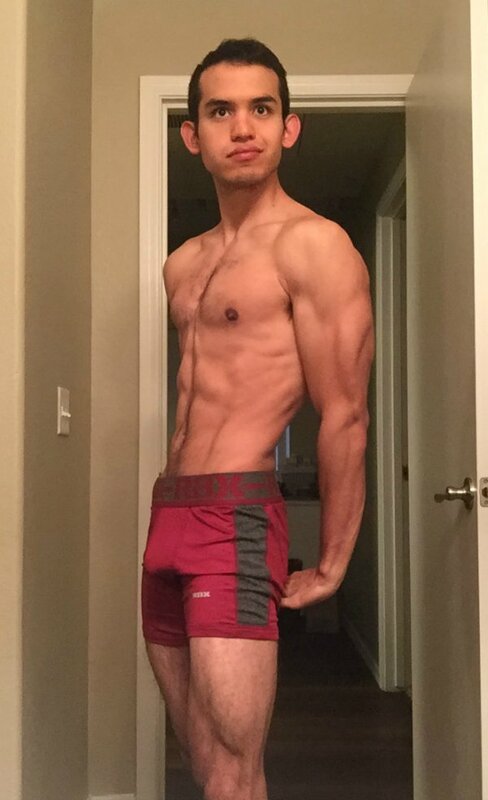 I cut for the entire year, but the first 3 months were the most difficult. I had to figure out my diet and stick with it! Working out wasn’t an issue, but being disciplined and not eating whatever you want everyday was tough. It was a lifestyle change and took me a solid 3 months to really make the permanent change. My goal is to get all my lifts much stronger during this bulk. The BLS One-Year Challenge 5-day split. I originally had started with 5×5, Mark Rippetoe “Starting Strength”, Jim Wendler “5/3/1” and read other books such as “Metroflex power building basics.” So my foundation was very much in compound movements I was trying to get strong. The problem was the nutrition in these programs weren’t very helpful, they essentially tell you to eat. I didn’t have a problem eating or getting strong as much as I had a problem not being lean! I was fat and I didn’t know how to eat to get lean. I came across Mike’s book and saw that it had some really great information concerning nutrition, I liked how specific it was and how Mike laid out all the basics of eating for building a great physique. I originally was only just going to follow Mike’s nutrition plan, however after reading about the BLS program I saw it shared a lot of the same principles I had come across in other programs I liked and couldn’t help but completely agree with what Mike was saying. I knew he wasn’t just trying to sell me a program, but that he knew what he was talking about and that it really worked. So I “converted” and have only gotten results since. I enjoy the splits and focusing on one major muscle group per workout. It took me about a solid 6 months of consistency before anyone really noticed a difference. However, I noticed a difference every week especially during my weigh-ins and waist measurements. I also have greatly benefited from all of Mike’s nutritional information and very much enjoy flexible dieting. Other strength programs don’t really go into specifics concerning proper nutrition, just eat 1 gram of protein per body pound then a bunch of carbs and fats, if you gain weight you’re doing it right if not eat more! Or if you’re Mark Rippetoe, drink a gallon of milk a day! Well I’m fat man! How do I look like an underwear model!? Mike’s program really spoke to what I was looking for in my physique and I appreciate how he backs everything he says with facts. Mike really connected with me as a reader and he gained my trust, I feel he had integrity, thus I was willing to follow his program. I can say that fitness has helped me to develop a sense control and discipline in my life. This in turn has helped me gain confidence in my ability to succeed. I feel more capable than I have in the past and have dropped a lot of bad habits and replaced them with good ones. I have been filled with a sense of accomplishment and pride, which is now carrying itself into other areas of my life. Fitness is symbolic to the man I wish to become and its principles are universal. Everyone – IT WORKS! There are a lot of different programs out there, however what will yield you results is your ability to stick with the program and abide by the principles given within (principles that I might add are going to be the same for every program). Also, I highly recommend The Shredded Chef – I can’t imagine my life without Mexican meatloaf! Mike’s programs, I feel, give the correct principles needed to build a great physique and I highly recommend all of Mike’s works. The program is not a magic pill or quick fix, it does not give you a secret or a short cut, it merely teaches principles and by abiding by the principles you will yield results but it will take time, patience, discipline, and effort – DON’T GIVE UP! I used TRIUMPH; best multivitamin out on the market and I couldn’t find anything else like it! Muscle for Life Success: Thomas T.